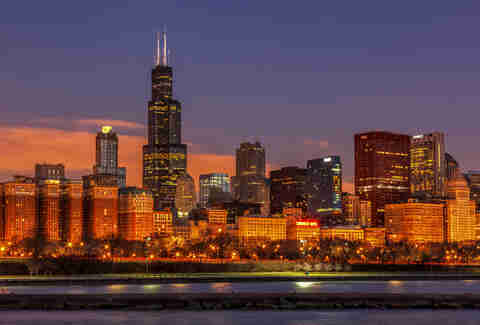 Chicago is chock-full of recognizable, culturally significant landmarks, many of which are probably also considered architecturally noteworthy on any given city tour. But only an elite few can be considered "wonder-worthy." From museums housed in buildings left over from a world's fair to entire infrastructures essential to city life as we know it -- including one that defies Mother Nature -- these are the seven coolest, man-made wonders of Chicago. 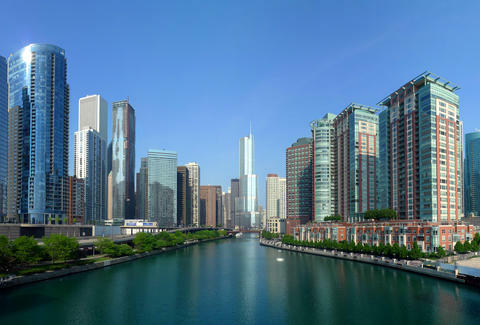 Built in: As early as 1816, efforts to improve the sluggish flow of the Chicago River were made by digging a system of canals, which connected the city to other major waterways like the Mississippi River. The industrial boom led to a public health crisis caused by sewage leaking into the city's clean water supply, so the Chicago River was diverted into the Illinois and Michigan Canal in 1848. 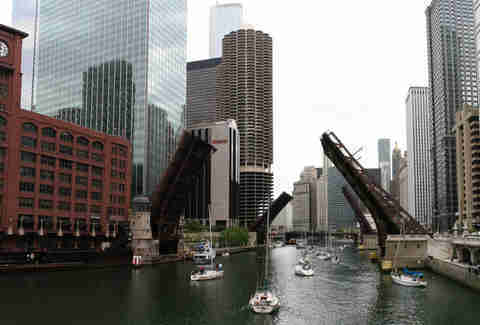 After a failed attempt to reverse the river flow in 1871, it was successfully reversed away from Lake Michigan into the newly completed Chicago Sanitary and Ship Canal using a series of canal locks in 1900. Built by: River flow reversal was engineered by the Sanitary District of Chicago, then headed by William Boldenweck. Why it's one of the seven wonders: Noteworthy for its natural and man-made history, the river literally put Chicago on the map. It attracted a flood (no pun intended) of newcomers to the city, and reversing the river flow kept people from dying of Typhoid or leaving in droves. In 1999, the American Society of Civil Engineers deemed the system a 'Civil Engineering Monument of the Millennium,' and its techniques even helped perfect the Panama Canal. And to further test the laws of nature, it's dyed green once a year to commemorate St. Patrick's Day. Built in: Work began on the massive project in 1913, and the station finally opened twelve years later in 1925. Built by: Architect Daniel Burnham started the project, and the firm of Graham, Anderson, Probst & White completed the work after he died. Why it's one of the seven wonders: Replacing an earlier station built in 1881, the city's main terminal for commuter trains is now the third-busiest rail terminal in the US (after Grand Central and Penn Station). 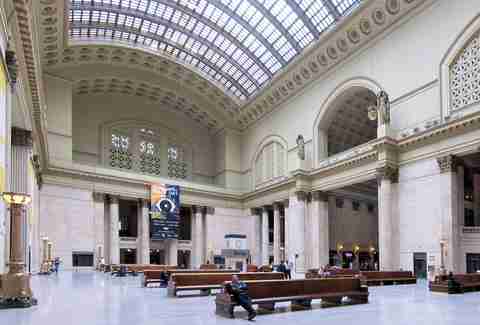 Its lavish, Beaux-Arts facades, huge Corinthian columns, and infamous Great Hall illuminated by a barrel-vaulted skylight make it a prime destination for architecture and people-watching. The station actually spans about nine and a half city blocks with most of its facilities beneath the streets. Built in: In 1892, the first elevated rail -- the South Side "L" nicknamed the "Alley L" -- ran from owntown Chicago to Jackson Park over tracks still used by the Green Line today. The subway system didn’t come about until the 1930s. Built by: Charles Tyson Yerkes played a key role in bringing "L" service into the central business district downtown in 1897 through the rectangular Union Loop line. Trains previously dropped passengers off at terminals outside downtown area. Prior to 1913, four privately owned companies made up the original "L" before they consolidated under the Chicago Elevated Railways Collateral Trust, which was bought by the Chicago Rapid Transit Company before the train system turned into the public chartered Chicago Transit Authority in 1945. Why it's one of the seven wonders: The present-day "L," which applies to the whole CTA rapid-transit system (not just the elevated trains) has fostered the growth of Chicago's dense city core. 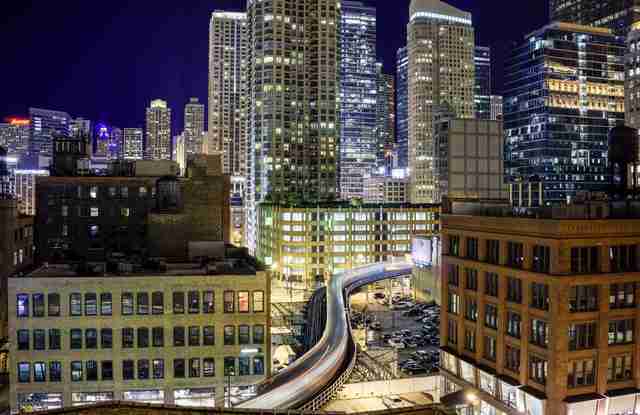 Plus, the Loop's tracks are a distinctive feature of the city's landscape. Part of its underground network of tunnels were even hand-carved, the lines weren't always color-coded, and there are probably more things you didn't know about the 'L'... like who's behind that automated voice telling you where to transfer? Built in: When Potter Palmer built his lakefront mansion in 1882, he coerced the city to build a street for carriages adjacent to his property (in what is now the Gold Coast) to amplify its value. The Drive’s birth, however, can be traced to the 1869 act, which established the Lincoln Park District and allowed an unnamed drive to be built from the end of Pine St (Michigan Ave) to North Avenue along Lake Michigan. This half-mile stretch was completed in the 1880s and named Lake Shore Drive. Lake Shore Drive was constructed in various stages, and completed as a limited-access highway in 1937 when the double-decker Link Bridge over the Chicago River opened. In 1979, Friends of the Parks advocated for resurfacing and marking the 18-mile Chicago Lakefront Trail from Hollywood Avenue on the north to 71st Street on the south. Built by: The lakefront park space and roadway has a complex history with Chicago-style controversy involving civic leaders, government organizations, architects, and businessmen. Landscape architect Swain Nelson, who developed the first plan for Lincoln Park in 1865, supervised construction of a lakefront drive between Wisconsin St and Diversey Ave with his partner, Olaf Benson. Later appointed by the Lincoln Park Commission, Benson oversaw the development of Lake Shore Drive south of the park, between North Ave and Oak St, and refined a park plan with a lakefront roadway connecting the north and south sections. Before The Drive was fully developed, architect Daniel Burnham realized the value of a continuous lakefront park from Jackson Park to the city limits north of Lincoln Park in his "Plan of Chicago" published in 1909. Why it's one of the seven wonders: Still a work in progress, both Lake Shore Drive and its adjacent landscaped Lakefront Trail have shaped Chicago's 26 miles of shoreline, and the city's reputation in its quest to be the greenest city in America. Both the roadway and 18.5-mile bike/running path provide easy access to public parks and beaches in a range of socio-economic communities alongside the lakefront for locals and visitors to appreciate. Built in: Completed in 1974 for Sears, Roebuck & Co's office space. Built by: Architect Bruce Graham and structural engineer Fazlur Rahman Khan of Skidmore, Owings & Merrill designed the building to be one of the largest office buildings in the world. Why it's one of the seven wonders: The 1,450ft Willis Tower (still lovingly known by some as Sears Tower) might not be THE tallest skyscraper in the nation anymore thanks to One World Trade Center's ridiculous spire, but it still reigns supreme in Chicago's skyline. Four states are visible from the top of the 110-story tower (Illinois, Indiana, Michigan, and Wisconsin), and the elevators are among the fastest in the world operating at 1,600ft per minute. The building's innovative bundled tube structure (it was made up of nine square "tubes," each essentially a separate building) later influenced the design of other skyscrapers, including the world's current tallest building -- the Burj Khalifa. 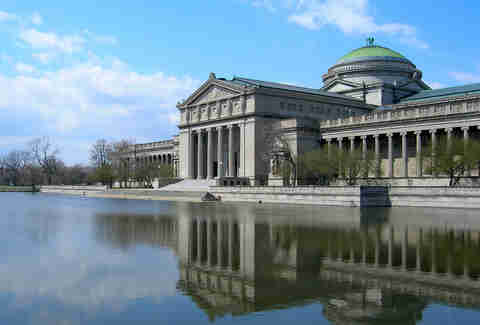 Built in: Originally constructed in 1893 as the Palace of Fine Arts for the World's Columbian Exposition, the building later opened as an interactive science museum in 1933. Built by: Burnham & Root architect Charles Atwood. Why it's one of the seven wonders: With more than 400,000sqft of exhibit space housing over 35,000 artifacts, the museum is the largest science center in the Western Hemisphere. Inspired by a trip to Munich’s Deutsches Museum with his son, philanthropist Julius Rosenwald pushed for an industrial museum with hands-on exhibits in Chicago. Its prized U-505 submarine from WWII has been around since 1954, and is one of only five U-boats still in existence. The building is one of only two remaining from the 1893 fair, which was an opportunity to show off Chicago as a center of culture and commerce. Arranged in the form of a cross with a large dome rising above its center, the Beaux-Arts building is adorned with large columns at the main entrance, serving as an example of Daniel Burnham’s vision of a classically inspired White City. 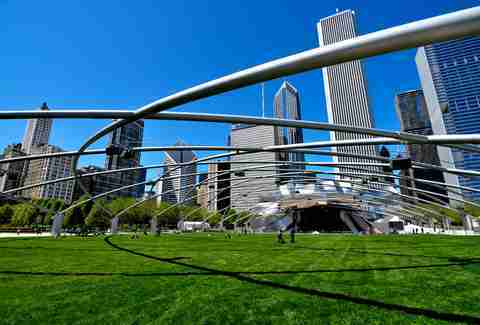 Built in: Mayor Richard M. Daley's vision in 1997 to transform unsightly railroad tracks and parking lots by extending Grant Park was quickly reconceptualized into a milestone park for the new millennium. The grand opening ended up being a few years into the millennium in 2004. Built by: Skidmore, Owings & Merrill crafted the Beaux-Arts master plan unveiled in 1998, but it underwent numerous changes with architects like the park's appointed Project Design Director Ed Uhlir and Frank Gehry involved. Why it's one of the seven wonders: Millennium Park is the city's latest modern-day wonder, and comes in just behind Navy Pier as Chicago's most visited tourist attraction. Stretching nearly 25 acres just north of the Art Institute of Chicago, the park covers a portion of rail yard and two parking garages as one of the world's largest green roofs. Drawn in by architect Frank Gehry's involvement with designing a sculptural music pavilion with a huge, steel trellis sound system and serpentine pedestrian bridge, the park is filled with the work of notable 21st century artists like Anish Kapoor's mercury drop-inspired "Cloud Gate" sculpture mirroring the cityscape and Spanish artist Jaume Plensa's eccentric, 50ft water fountains with video projecting the faces of everyday Chicagoans. The ambitious park ended up with years of delays and a whopping $475 million dollar price tag, but Grant Park's expansion continues with the nearby Maggie Daley Park riding on Millennium Park's success. Nicole Bruce is a contributing writer for Thrillist. She wonders why there can only be seven wonders. Find her on Twitter at @nicoleabruce.